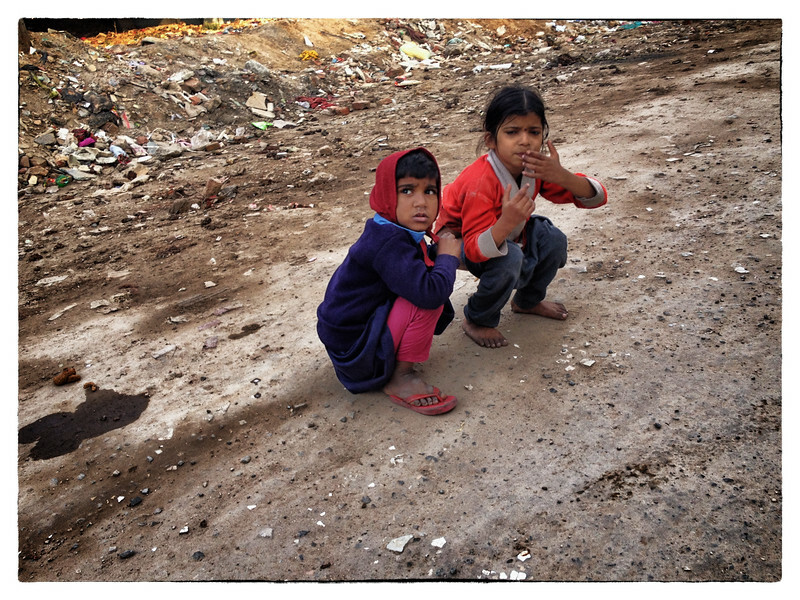 Children seen defecating in the area used as an open toilet by the residents of Kathputli colony. Access to water in the colony is limited to siphoning water off the community taps. Real estate developer - Raheja builders schedule to rehabilitate the slum by building a multi level apartments for its residents along with commercial and residential apartment complexes.